Like a great many things, the Internet has drastically changed how we handle making hotel arrangements and for the better. Where at one point a person may have had to spend copious amounts of time of the phone or in an office with a travel agent looking for the right logging, now we’re just one click away from an ocean of amenable options. This could be the best thing to ever happen to enthusiastic consumers but, can also be a most tedious endeavor to say the least. So I’d like to offer a few helpful tips before diving into the deep end of the web booking pool. First off, you may not think it’s important, but you may want to consider which device you’re using when on the hunt for your destination stay. Your desktop or laptop computer will provide you with ease of use and a nice viewing space for all the photos and reviews you’ll be looking through. If you’re on the go though, almost every hotel booking site offers a mobile based app for smart phone. Of course, you can access the site’s mobile based websites through your mobile device’s browser, but the apps are optimized for easier use and will help you keep track of what you’ve already looked at. Depending on the site, an app may even offer a few better deals. That said, who needs another flaming app taking up valuable real estate on their smartphone? Certainly not me. I find it all too fiddly, regardless of having a decent size smartphone. For this reason, I choose my laptop when booking hotels; it just makes it less stressful. Is there some “must have” amenity you’re looking for that without would be a booking deal breaker? (i.e. Breakfast or free Wi-Fi.) Booking sites offer multiple types of filter to help you narrow down what could be hundreds of choices. For example, want to look at only prices, consumer ratings, or amenities? With these filters, this type of information can be accessed quickly and easily. The filters are usually situated on either the left-hand side of the page, or across the top of the search listings. If you’re a social media fan keep an eye out for the “save” and “share” functions as well, should you want to let your mates know what your considering and where you're going. 3. Read the Hotel Details! When you find a place that intrigues you, make sure you are able to see everything your hotel offers, from beach access to childcare facilities, as well as proximity to local attractions. Seek the “What’s Nearby” section to view what is around your potential abode so you’re close to the thing that interest you most. Be cautious of a listing that is vague or incomplete. This is usually an indication of a substandard venue and the lack of attention to detail surely spreads to other areas of their business. 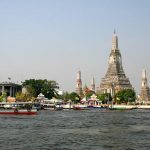 The last thing you want is to arrive at a hotel situated next to a stinky canal — which can happen in Thailand, believe me! It’s easy to be misled by a pretty picture. I think just about everyone has gone for a hotel because “the pictures look nice”, only to turn up and see that those pictures were either 10 years old or photoshopped beyond recognition. In light of this, I recommend using a site that has access to customer images as well as the hotel promo pics. Hotels.com is a good options because it uses TripAdvisor reviews that feature real images from people who actually stayed at these locations. *TripAdviser.com is the long time, web-based standard for travel food reviews and ratings. Reviews can be a shopper’s most helpful tool; however, make sure to read a few before you pass final judgement. Sure, if a hotel has a slew of bad reviews then avoid it, but don’t be put off of a potentially great place by one scathing review from a customer who just likes to complain. Additionally, you may be able to use one of the filters to see only the bad reviews or just good ones. Whatever site you go with, make sure to use the review section to its fullest. Discounting isn’t always as transparent as it may seem. Hotels know that everybody is looking for the best deal, so they often list their rooms as discounted knowing that this is the rate everyone can usually get. Additionally, you may come across a massive savings deal, only to get to the hotel and realize the reason why — maintenance work is being carried out next door or the pool has been drained. Conversely, you should always keep an eye open for that perfect deal, especially during low seasons. Some even offer you an alert if a hotel you’re interest in has a price cut. One popular function you’re sure to like is the map locator. Say you know exactly where or who you like to stay close to. Pull up the map listings options and check out the establishments nearest to your ultimate destination. Some of the sites even offer travel times to help you plan your transit. Once you’ve set up an account with any of these services, the actual booking process is relatively easy. Whether you’re on your desktop or mobile device, it should only take a couple of steps to get you locked in. Be advised, most listings require you to use a credit card. Some sites may let you use PayPal (like Agoda) and some may even have a pay-on-arrival option (not many). If you are a customer who likes to have a “go to” that they use consistently, you'll be happy to know that a number of the services out there offer rewards for loyalty. You can rack up free nights from regular booking, get discounts for booking extra nights and upgrades! This is the part people worry about the most, and rightly so. It's also a reason many old skool travelers still book direct with hotels. But hey, the most popular booking sites have been around long enough to have decent systems in place to handle any issues. The 5 in my list all stack up very well when it comes to responsiveness to cancellations, booking enquiries and altering bookings. So rest assured, if things go wrong, there are customer service phone numbers you can call to get your problems handled. Take Agoda.com for example: I booked to Krabi last year, only to realize an hour later that the side of the island I'd booked was wrong! I wanted the side without the mangroves, which can get smelly when the tide goes out. I was able to cancel my hotel by ringing Agoda, and then book a new one online within minutes. Phew! Incidents like this aside, most of the time your questions can be answered right there on the website in the FAQ section. Additionally, the hotels that book using these sites know how to handle any issues that arise such as refunds. Usually, once you arrive at your tenement, the staff is more than willing to satisfy you, the customer. After all, you hold the power of the review in your hands! Lastly, just be clear what the cancelation policy is for the hotel before you finish your purchase. Some of the best deals don't allow cancellations. Sometimes it's worth paying a bit extra just to have that luxury if you need it. 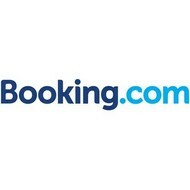 If you’re new to the world of online bookings, have no fear. You’ll get the hang of it in no time, and it's actually pretty fun reading through all the reviews and comparing prices. The good news is these are the new industry standards for getting you in the place you want to be and nearly the entire hotel traveling world does their business this way nowadays. 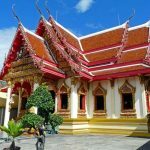 When it comes to booking a hotel in Thailand, the sites in my top 5 have all proven themselves worthy of your business, albeit that in terms of pricing and proposition, they excel in slightly different areas of travel. 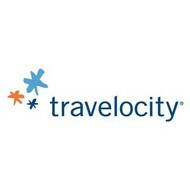 As a seasoned traveler I have used both Hotels.com, Agoda and Booking.com. And I must say these companies have no shame when it comes to adding 'fees' on the price. Where I come from we have words for what they do, and they are not flattering! Avoid these people at all costs! Unfortunately that is not so easy. Somehow they manage to persuade hotel managements that they are the only people who can handle booking. Hi Klavs, I'm a seasoned traveller too, and you're right. You do have to take fees into consideration and always do a comparison. For my last beach trip, I compared a number of options including local providers, online comparison sites and a company from my home country who are usually very competitive.Who works out cheapest really does depend on where you are going. For example, Agoda.com have some very good relationships with resorts and hotels in Thailand because they have an office in Thailand and are headquartered in Singapore. So they have people on the ground networking within the country and are therefore usually very competitive in this region.However, when I visited Switzerland last year I booked my hotel directly because the price worked out slightly cheaper than any of the online comparison sites.Conversely, I once took a trip to Krabi an didn't have a hotel for the night. I walked into a resort and asked if I could book a room. They gave me their walk-in rate, which I checked against the rate on Agoda. I said to them hey, how come you're giving me a more expensive rate than on Agoda, and they told me that if I wanted that rate I needed to book it on Agoda. And so I booked right there and then inside the lobby.Indeed, thinking back, I also did this through Hotels.com when I visited Singapore a number of years ago. 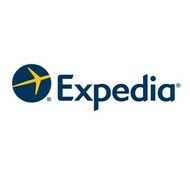 My wife and I sat in the reception of the hotel and booked the special price online, waited for the confirmation email to come through and then went to the desk and booked in.And that's why I created this comparison engine, so that my readers can get a general idea of where they are likely to get the best deal for the type of holiday they are planning on. Of course, I strongly recommend that you check directly with the hotel, and if you have the time then look into local travel agents too.But the reality is that the sheer weight of competition among the comparison sites means that you can usually get a very good deal, particularly if you aren't too fussy and are prepared to take up a special offer that may not have all of the amenities you initially wanted, but does take the majority of your boxes. Always check the local websites for inbound Tour Operator rates in any country you want to visit. I got a deal about 20% cheaper for a 5 star hotel than what was available online through a local agent while planning the trip we did to Mauritius last year. I assume that there are similar agents in Thailand. I looking for one now. If anyone knows, please let me know. I would also like to add to ALWAYS check the taxes and fees before you hit the complete transaction button on ANY website. Unfortunately I am dealing with hotel power which is in part my fault that I did not check the taxes and fees which were almost HALF the amount of the room itself. When I noticed this I went ahead and looked up preferred motels (a play on words of a competing website) while their room rate was slightly higher, the taxes and fees were 1/6 of that of HP, and so the total was around 20% less, so I knew it was more “fees” than “taxes”. I contacted hotelpower and they stated that is the correct taxes and fees and would not try to help me at all and I kept having to contact them via email to get any result they never actively contacted me back only in reply. I am just warning people away from this underhanded “fee” practice companies. I booked with Hotels.com last year for a hotel i Bangkok and found out that I could not chose the room I wanted to have at this hotel. They told me when booking with hotels.com I have to stay on bottom floor and those rooms had not the same standard as the rest of rooms. They told me at the hotel that it is better i book with Agoda or Trivago. So next time I used Agoda and I got the room I wanted for the same price. Interesting point. On Agoda they usually offer a range of rooms to choose from, including bed type too. 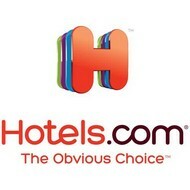 Hotels .com does have the same but not as many options. It is up to the hotel to list different prices for the better rooms. If they list just one price then likelihood is they will check you into a lesser room, especially in high season. Good, thorough review! Have you looked into Trivago? Any thoughts about it? I think it is useful, though it's just an aggregator of deals. The thing is that Agoda and Hotels .com have deals that reveal themselves when you are logged in, and other flash deals by email, so I prefer to go direct on the whole. I'd have to disagree with you on your results overall, having averaged more than 2M THB per year in online accommodation bookings for my family and staff over the past few years, I have found Agoda.com to offer a far better "overall" service when you factor in complaint handling, refunds, changes to bookings and overall customer service, they may not always offer the lowest price but more often than not they provide exceptional customer service.Primary factors that should also be included are credit card charge/refund policies and if the booking is regulated in the purchasers home region or country. I wouldn't disagree with you. 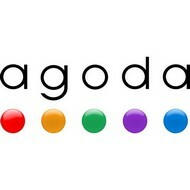 I have found Agoda to be a good overall service. Generally they offer very competitive pricing inside Thailand.